In addition to our rich in-house database of highly skilled employees, we utilize various job boards, networking resources and referrals to identify candidates with years of experience, training, technical skills and/or education to perform work as required by our public and private agency clients. Utilizing our state-of-the-art information technology, our Management Team makes JPS the ideal staffing agency of choice for staffing needs. Testing Process: We test applicants based on the skills they profess proficiency in and verify skill level by testing at basic, intermediate, and advanced levels. Our applicants complete a series of computer-based validated skill tests on line, provided by IBM ProveIT, which screened proficiency in the range of clerical, behavioral, financial, health care, industrial and technical skills. These testing tools are available to our candidates at ANYTIME, ANYWHERE as these are internet accessible—FREE of charge to both clients and candidates. Screening and Interviewing Processes: JPS uses behavioral interview techniques and reference checks, to screen candidates for accuracy and depth. Telephone interview is the initial screening method followed by a face to face interview to validate the qualifications presented in the resume. Reference Checks/Background Check/Drug Screen Procedures: All JPS candidates go through legally-approved pre-employment background verifications including drug screening, through a third-party vendor at no charge to the client or candidate. In addition, we communicate with three (3) professional references to establish the accuracy of the resume as well as the over-all prior job performances. 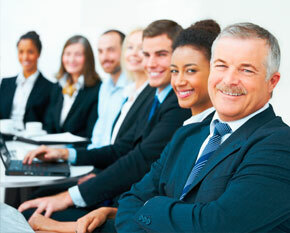 Orientation: We customize our orientation program based on the Client�s policies and procedures. A visit to the work site by a Staffing Manager is an initial step to assist our temporary workforce with valuable information regarding the location, job duties, and particulars of the company. During this visit, we discuss critical information to ensure a successful placement. Training: We understand that our candidates are human capital asset and, therefore, our greatest asset. We invest in our employees at no cost to them by providing comprehensive training programs to enhance their talents and learn valuable new skills and safety awareness. Equal Opportunity Employer: JPS, Inc. is committed to running all programs on an equal opportunity basis in accordance with applicable federal and state law.